Split the payment over 13 weekly payments of $92.23 Shipping & returns info Free shipping! Complete Bluetooth POS Hardware Bundle compatible with Shopify Point of Sale Software. 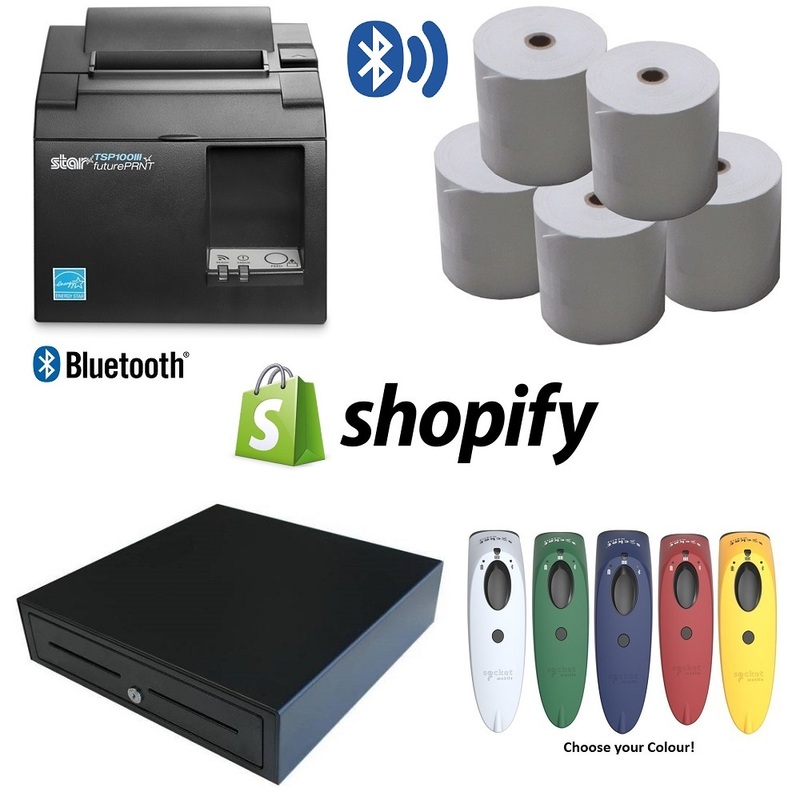 This bundle consists of a Star TSP143III Bluetooth Thermal Receipt Printer, Socket S700 Bluetooth Barcode Scanner, Heavy Duty Cash Drawer with 5 Notes & 8 Coin Sections plus a Box of Thermal Paper Rolls (24qty). 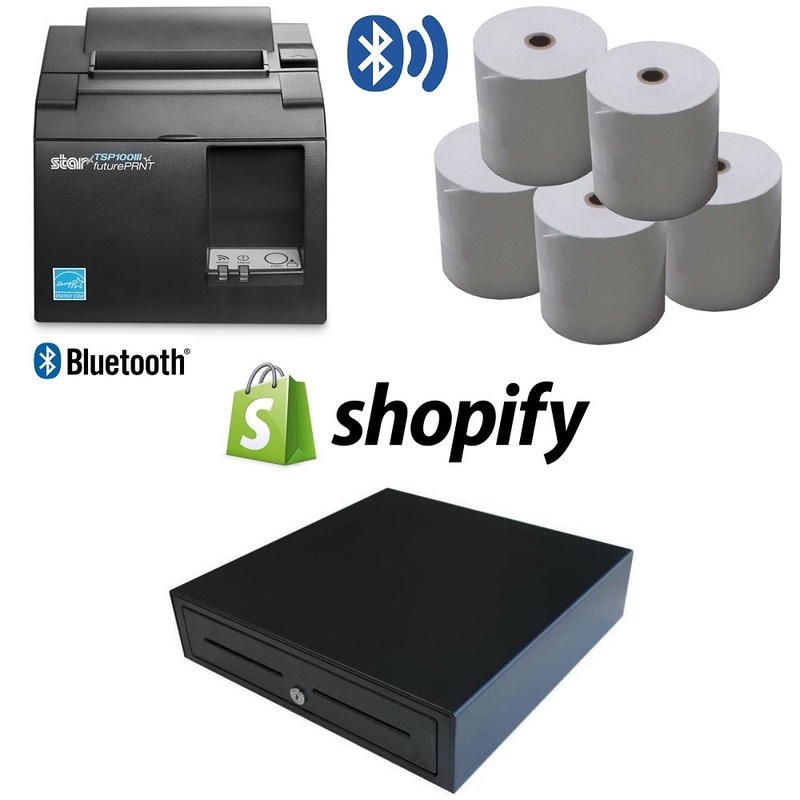 This Shopify Bundle was designed to be completely wireless (Cordless) and consists of Bluetooth Receipt Printer and Barcode Scanner. STAR TSP143III BLUETOOTH Thermal Receipt Printer (TSP143IIIBI).